To get the most bang from your tax filing, preparation should be a long-term, year-round planning process. 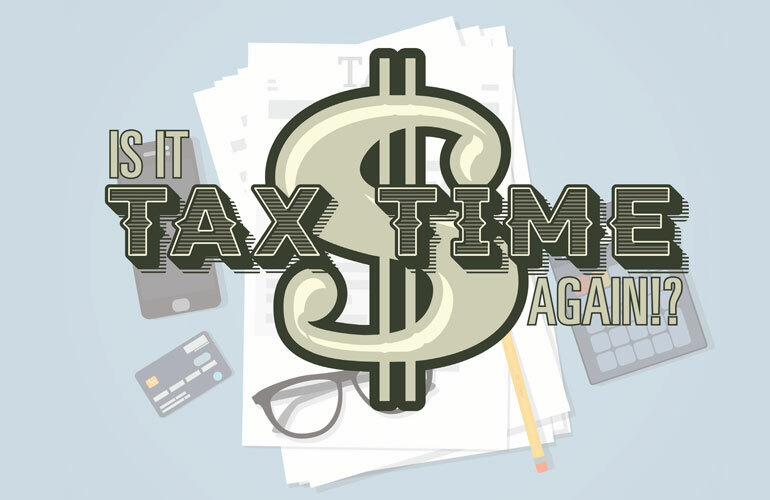 It’s that time of the year when everyone, it seems, is thinking about the income tax filing deadline. For those who shudder to think of planning ahead, tax experts say the best way to protect your income is by doing so and making decisions to decrease your tax liability. McConnell emphasized that every penny earned has a tax associated with it, which varies depending on your tax bracket and that any loss means less income to be taxed. Knowing how to take advantage of the legal, legitimate means of reducing income tax liability is crucial. “It’s important to realize that your net farm profit is going to be subject to self-employment tax,” Kristine Tidgren, J.D., assistant director for the Center for Agricultural Law and Taxation at Iowa State University, said during a November webinar sponsored by the Practical Farmer of Iowa. Tidgren was accompanied by Matt Russell, an Iowa farmer and Drake University resilient agriculture coordinator. Filing farm income taxes with the Internal Revenue Service (IRS) typically means reporting income on Form 1040, and filing various “schedules” that accompany the main form. Farmers who report as self-employed taxpayers or single-entity limited liability corporations (LLC), as do most family farms (though partnerships and “S” corporations have different requirements), report farm income on “Schedule F,” which allows the cash, rather than accrual, method of accounting. In the cash method, expenses are deducted as they occur, and income is claimed in real time. It’s a simple method, with the basic requirement that income is reported as soon as it is made available to you and expenses get deducted as they occur. A legitimate contract stipulating that a sale occurs and payment will be made at a specified later date, such as a sale of product to a cooperative or feed mill, is required if payment is not claimed as income immediately. That is a good thing for farmers, and one they should take full advantage of by planning for tax implications when making business decisions. Schedule F is “the key document that you’ll fill out for the IRS,” Tidgren said. Schedule F is specifically for farmers and has two sections. The first section is for listing farm income. The second is for farm expenses. Understanding what constitutes farm income, knowing what items are allowable expenses and reporting various types of expenses correctly is the basis for proper tax filing. “You need to understand key provisions of the tax code,” Tidgren said. “You have to understand what types of expenses you can deduct” to make wise decisions about farm expenditures. It’s also important to understand what constitutes income on the farm and how to legitimately reduce overall net income for favorable tax benefits. One tool available to farmers is income averaging. This allows farmers to reduce income tax liability by averaging income over three years, protecting against high tax rates as farm income fluctuates from year to year. Farmers don’t have an equal income stream throughout the year. For this reason, there are special rules governing the paying of estimated taxes, which is a requirement for self-employed taxpayers. Instead of quarterly estimated tax payments, farmers who meet certain parameters are allowed to make one estimated payment annually. Eligible farmers are those whose farms provide at least two-thirds of all gross income. Because income is not equally spread throughout the year, farmers need to know how to best utilize any cash surpluses that do occur. Any surplus cash can be used to purchase supplies in advance, or to prepay monthly expenses. The key to doing so legally is to have accurate records, including bills of sale. “You can cut your tax liability dramatically,” McConnell said. Keeping written records is absolutely necessary for all transactions. Sales, purchases, employee costs, cost of improvements, repairs, mileage costs and anything else related to the operation of the farm in any way needs to be documented. Income for farmers isn’t just about selling what you produce. Though product sales are important, other items, such as crop insurance payments, have to be reported as income. Payments from some government agricultural payment programs often do, too, but others might not, and it can get confusing. Conservation program payments may be reportable as income, but not taxable, McConnell said. If you occasionally perform custom work, it is reported as farm income. Feed assistance from anyone is income. Sales of livestock may be income, but in some situations is a capital gain. 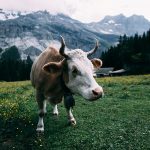 If you rent your pasture out to others, and you take care of those animals, this income is reported on Schedule F.
Many farms may be doing some type of food processing. Processing of farm products is not reported on Schedule F. This is an important distinction, as income and expenses related to these activities are considered a non-farm business, and must be reported separately on Schedule C.
“If you are adding value to your crop, then the Schedule C part of the business, which is the value-added part of the business, will have to account for the Schedule F contribution,” McConnell said. Distinguishing between farm income and income that needs to be reported as a separate business is important. A custom hire business isn’t farming income, but Schedule C income. Agricultural tourism income is also not farm income. If you are hosting visitors for on-farm dinners, farm stays, corn mazes, or other types of agritourism ventures, income derived from these activities is not considered Schedule F income. 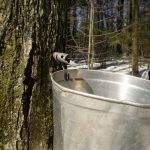 Maple sap is a marketable crop, so extracting that sap from the trees is farming, and reported on Schedule F, but making it into syrup is not farming, but processing, and is a Schedule C business for IRS purposes. For those who also have off-farm household income to report, farm losses can be used to offset non-farm income, reducing total income tax due. For those situations where one spouse is the primary farm operator, but the other spouse does some work on the farm, making that spouse a paid employee of the farm can be advantageous. “The principal operator can hire his or her spouse to do work on the farm,” and the income can then be used however they want – to go on vacation, retirement or in any other manner, McConnell said. “Labor is an allowable expense,” and therefore the farm can deduct labor costs of the spouse, whose earnings can then go toward expenses that are nondeductible. Expenses are allowable deductions against income. Expenses need to be ordinary and necessary for the farm business. Personal expenses are not deductible. The key to any expense deduction is keeping written records. Not all expenses in running a farm are simply deducted from the year’s income, however. Equipment repairs are deductible expenses, but improvements that substantially prolong the life of the equipment, change its purpose or significantly add to its value are considered capital expenses. These also include improvements to the farm, such as fences and other infrastructure improvements. As per the IRS, “Capital expenses are generally not deductible, but they may be depreciable. However, you can elect to deduct certain capital expenses,” including fertilizer costs, soil and water conservation expenses, qualified property and business start-up costs. Expense deductions for farm use of vehicles, for farm utilities and for farm office expenses are acceptable, as long as records are kept. 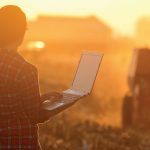 If a farm office is located in the home, the portion of utility cost, insurance payments and mortgage payments that apply to the office space can be deducted. Water used in farm activities – such as washing eggs – can also be a legitimate expense even when performed in the home, not the barn. Some farm expenses can’t be deducted in full immediately and must be depreciated over time, including some capital expenses. By default, the cost of dairy and breeding livestock is depreciated over five years, equipment purchases over seven years, orchards and vineyard establishment over 10 years, and the costs of draining tiles or wells over 15, Tidgren said. 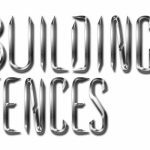 There are restrictions on what types of purchases can be deducted under Section 179 – single-use agricultural buildings are fine, but multipurpose ones are not. 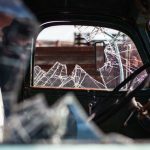 Another consideration before claiming a Section 179 deduction is that if the item is sold before its useful life is over, the value of the deduction will need to be “recaptured,” and that value is then considered ordinary taxable income. Are you operating a farm? That seems simple enough. But with different provisions of the federal tax code, there can be differences in definitions of qualified farming activities. State and local tax definitions of a qualified farm may vary, too. Property taxes, sales and use taxes and excise taxes may depend on differing definitions of agriculture and may or may not offer tax relief for farmers. Hobby farms are defined by the IRS as those that aren’t farming for a profit. These operations don’t file a Schedule F. If farming isn’t the sole income or occupation but is conducted in a profit-making manner, Schedule F is allowed. Those who are engaged in farming for profit generally must show a profit in three of every five years. Some people try to keep expenses below income, to show a profit, but this is not a good idea. You just need to be able to show why there was a loss, and document it, McConnell said. Operating in a businesslike manner; keeping your money and the farm’s money separate; documenting your work activities; showing that you expect to make a profit from the farm; demonstrating that losses were due to acceptable reasons; and having the knowledge to run a farm: these are some of the “tests” that the IRS uses to establish the legitimacy of a farm business. These safeguards are in place to protect real farmers. Farmers are treated with special rules, to help decrease their tax burden and help keep farming a viable occupation. Educating yourself about the farm tax code is imperative. Finding a tax professional familiar with farming can be the best way to manage your farm’s income and utilize the tax code to your advantage. “No one should be intimidated by this,” McConnell said, as understanding the tax code means making wise business decisions on the farm.